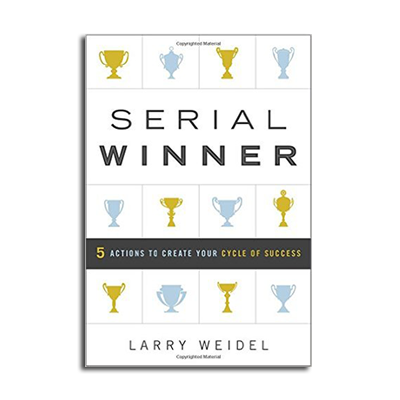 Recently I was able to talk with Larry Weidel, author of “Serial Winner.” In this very fascinating book, Larry talks about how he has learned from those who always seem to be winning at life. He takes us through the five basic actions of the Cycle of Winning: Move forward when you feel stuck, crush early doubts and give yourself the best shot of success, overcome obstacles to win anyway, maintain your mental toughness until you cross the finish line, and avoid the winner’s trap and use the momentum of each win to achieve the next. Larry Weidel has worked in the financial services industry for many years. I think you will find his humor and good sense very appealing in “Serial Winner.” Purchase a copy here and you can learn more about Larry at weidelonwinning.com.